Bread crumbs machine is mainly used for fried beefsteak and drumstick as frying dressing. 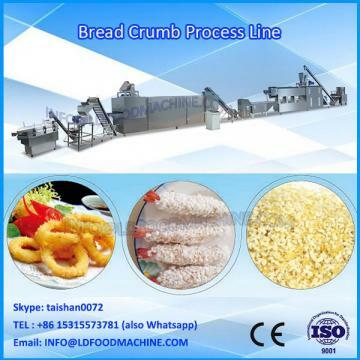 The long and sliver-shaped Bread crumbs extruder are of porous structure inside. After frying, the crumbs become straight up bit by bit. They are not only puffed and nice in appearance but also crisp and delicate in taste. Our Bread crumbs extruder is of high quality and also the Bread crumbs extruder is very usefull. Clients from home and abroad the world come to visit our company, inspect our machines as well as do the machinery products testing .